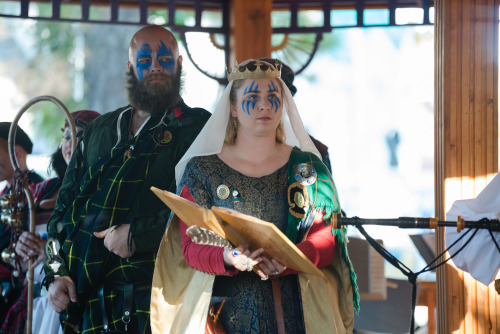 We are coming up on one of my favorite themed weekends: Highland Fling! 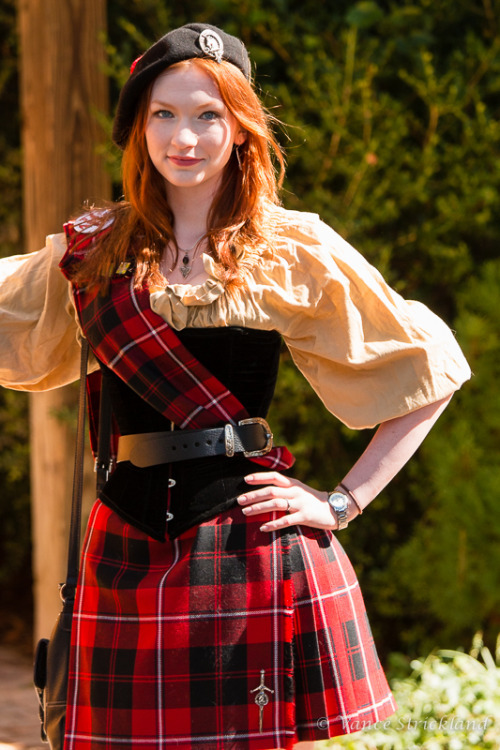 Maybe it’s my Scots and Irish heritage, but I love the bagpipes, games, and especially the kilts. 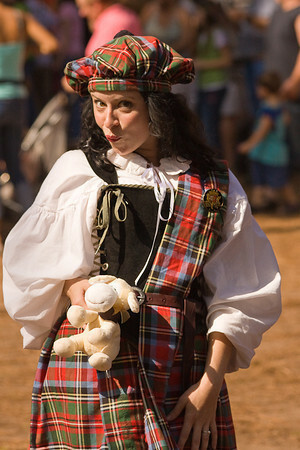 I think I must not be alone, Highland Fling is one of our most popular weekends. We’ll start the morning with a contest of wit and skill- the new Dizzy Putt contest, hosted by the Performance Company’s Scottish Court. This 11:00 contest challenges players to be spun about like a top, then while good and dizzy, they’ll try to hit a golf ball into a cup. Sounds fun, especially if preceeded by a shot of good whiskey! 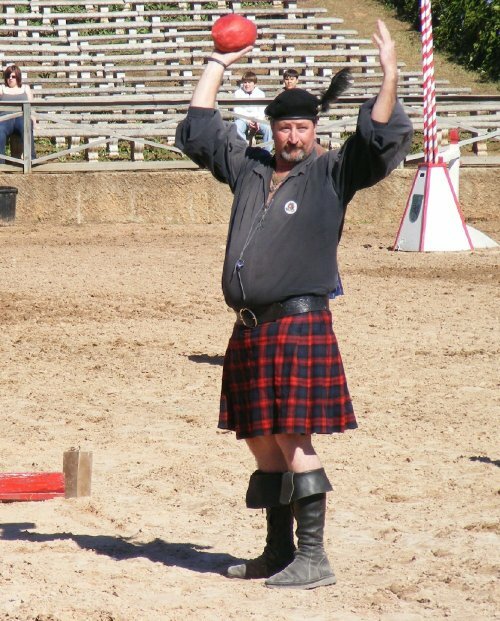 With Celtic Highlanders conducting Highland games at the Arena, the caber toss and stone put draw crowds of rowdy spectators. This year, we are spotlighting a new music act, the Dublin Harpers. 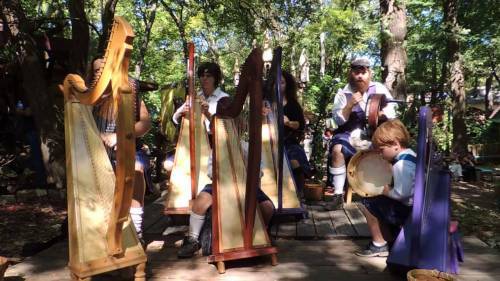 They’re a family who play Celtic harp, bodhran, and other instruments like penny whistles, creating rollicking Celtic dance tunes. They’re at the Florence Gazebo, you won’t want to miss them. They’re sure to put you in a mood for the auld country. 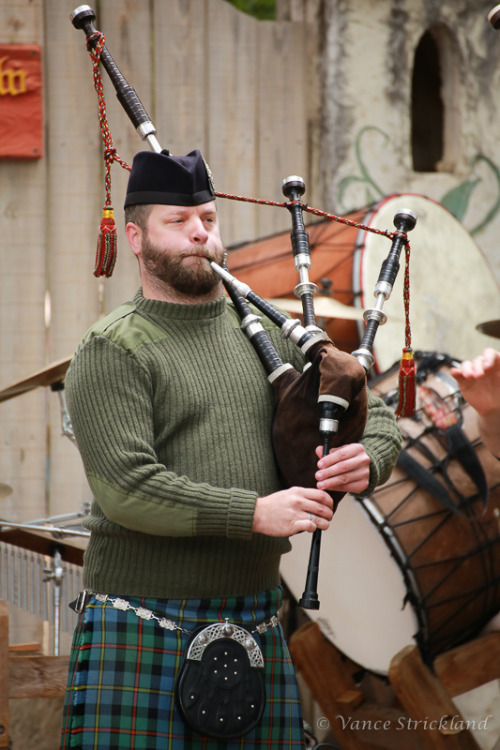 I thrill to the sound of the bagpipes, and you can find them back on the Cloister and the Green stage back in the Enchanted (formerly Sherwood) Forest, where Drums -n-Drones play at 11:00, 12:00, and 5:30. Or you can catch Tartanic at the Dove Meadow stage at 9:30, 11:30, 1:30, and 3:30. 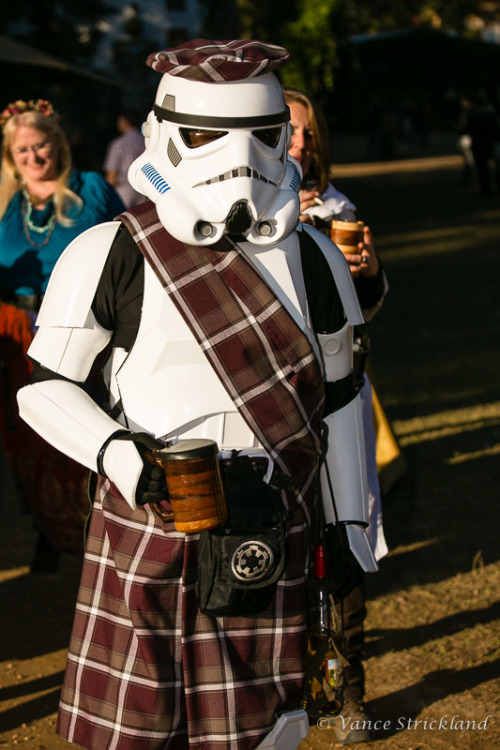 Many of you will choose to wear clan tartans this weekend, that’s one of the most historically significant traditions that our patrons observe. I am descended from the Campbell clan (sorry, MacDonalds!) and just last week my new Ancient Campbell tam arrived from Scotland. I find it’s always a great conversation starter to ask if one can identify their plaid- I have met Gordons and Stewarts and MacNeils, all lovely people! 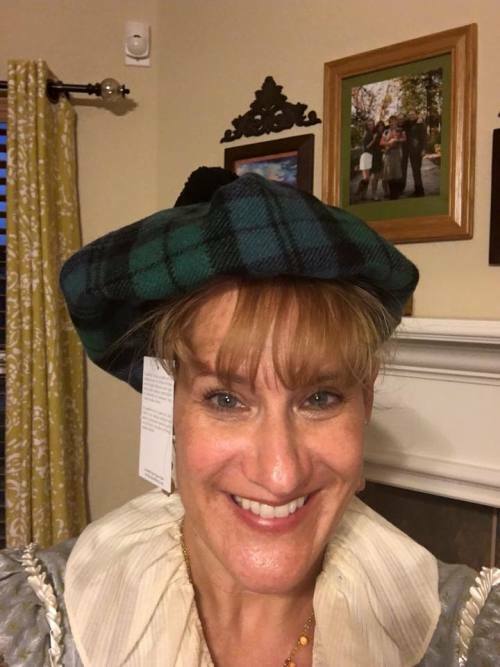 If you’re looking to start or add to your collection of Scots garb, try the Scot Shoppe, Highland Kilt Company, or the Knotty Scotty. All these shoppes carry varied selections of plaids, pins, sporrans, and Glengarries, Balmorals, and tams. Oh, and here’s the translation of the title of this entry, from the TRF family to all of you: May you live long and stay well.